PLUS SIZE! 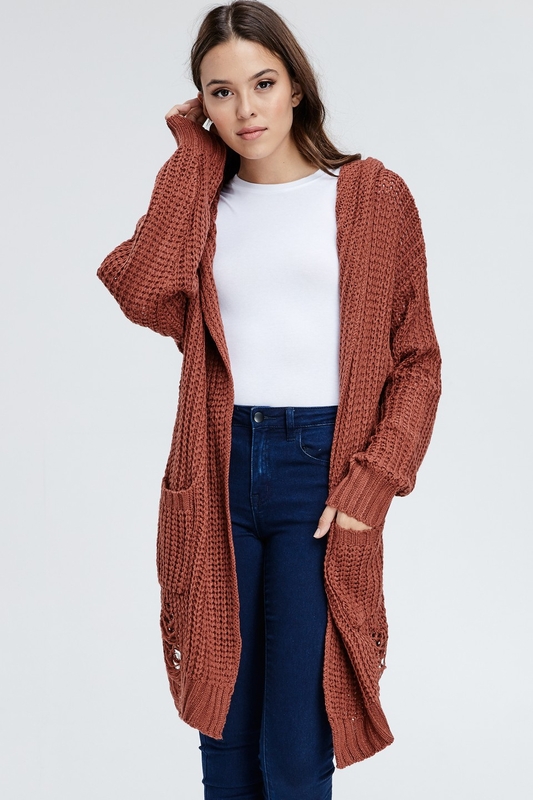 Cozy, distress detailed open cardigan with hood (also contains pockets on each side). 60% cotton, 40% acrylic. Model is 5`8 wearing size S/M.